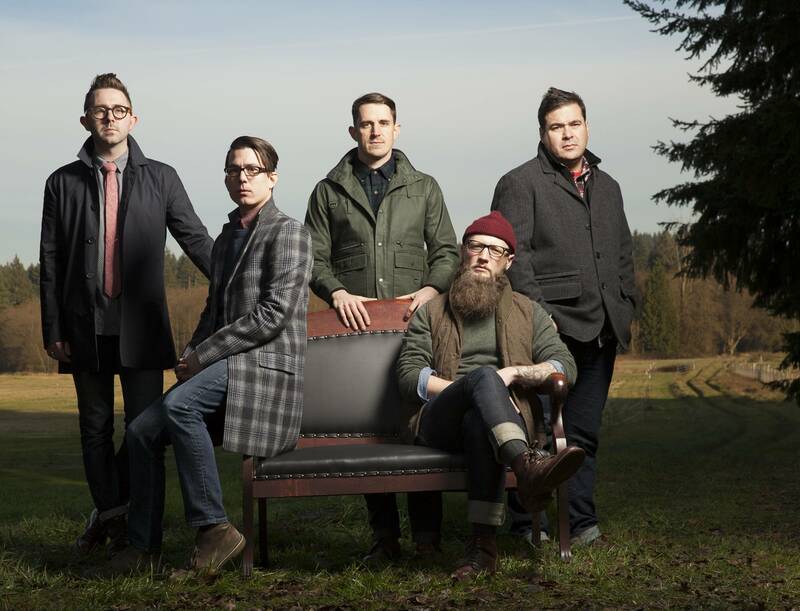 With their debut album set to be released on April 15, Seattle-based group Kris Orlowski provide just the right amount of alternative to their folk-driven sound, resulting in wholesome easy-listening. The release of Believer is just over a month away leaving singer-songwriter Kris Orlowski and his group of instrumentalists rightfully optimistic. Having already released three EPs to warm success and having been featured in television shows Grey's Anatomy and Private Practice Kris Orlowski have carried this momentum into their forthcoming release. Where the release of 2012's Pieces We Are EP was a collaboration with a 17-piece orchestra, Kris Orlowski chose to stick to a more traditional approach on Believer. Through their new material the group have carried on the same encompassing soundscape mentality that made their 2012 release a success, however their ability to scale it down without losing any of the energy showcases a maturity has grown out of their previous experience. Kris Orlowski's fusion of folk, pop and alternative has proven itself successful running through the circuit however where others inject their music with gimmicks to turn attention away from the depth in songwriting Orlowski and gang utilize every element in their music to full advantage. Coupled with incisive lyrics, throughout each song on Believer the group leaves no instrument unexplored allowing each to shine in its own right while sticking to the elementary rule that less is more. Rounding out Believer we bring you a premiere of one of the more accessible songs on the album in "Fighting The War". While "Fighting The War" features a heavy hitting, yet simplistic beat it provides a base that all of the other song's elements build off of. Guitars also play a big role throughout, either setting an elevated plane of distortion for vocals to drive through or to cleanly set up vocal cues. "Fighting The War" centers around a Coldplay-esque empowering chorus that resonates through the rest of the album. In order to get a better feel of the direction of Believer the album's self-titled single has been released as a music video. With picturesque shots of nature being exposed by a lively child who begins to believe in himself the video for "Believer" also features images of singer Kris Orlowski elegantly singing his song. EARMILK: What inspires you to make music? Kris Orlowski: Sometimes it’s other artists, a place, but sometimes I’m not sure it’s really about inspiration, it just comes out of me, I hear something in my head and I have to get it down – if I don’t, then I feel like I’m cheating myself out of an opportunity or a chance to say something I didn’t realize I wanted to say until then. I love to sing, to create, to perform, but I love getting to say something with my music, or getting to share a moment/commiserate/connect with someone through music. As anyone who is reading this right now understands, music accesses us in a way other things can’t, and that journey has been the biggest inspiration for me. Early inspiration for my newest record came from the February beaches of Seaside, Oregon and early spring calm of Orcas Island’s Doe Bay. Drawing further from authors like Flannery O’Connor and Paulo Coehlo. EM: Can you run me through the process that goes behind writing a song? Kris Orlowski: Usually I hear a melody or main line in my head – and I can hear some sort of beat or instrumentation driving the melody. Sometimes I’ll even hear the whole song in my head and I’m trying to capture it on my phone memo program as quickly as I can. The truth is, it’s varied, but I find that I capture most of my songs in their infancy through a voice memo program on my phone and start tapping them out on the guitar until their a chorus and verse section, then pretty soon there is a bridge. Eventually I’ll arrange the song, then start massaging the originally lyrical ideas. Lyrics almost always come last for me. EM: How would you describe your new album to someone that has never listened to you? Kris Orlowski: It’s basically a pop record – I’m not sure who to compare it to, but we have the stalwart five piece band with lead guitars, strong keys, harmonies and a solid bass/drums. There are some 80’s influences and some of my folk influences are still present, but this album has more of a cinematic spirit to the songs. Some people might say Freddy Mercury meets Megadeath…but these people would be wrong. EM: What do you want listeners to take away from your new album? Kris Orlowski: I guess for context, we are all living on belief — belief that our job will bring us happiness, conviction in that cup of coffee for our morning charge, maybe a devotion to a higher power, or a simple faith in humanity to get things right. One of the most powerful and dangerous places to put faith is in people, and that sentiment is at the heart of this album. I find that we need to have faith in something or someone to see progress in our lives and the world. We stretch ourselves when we are grounded in that belief and when it's questioned. I hope this record will inspire belief in something, or at the very least give people something to believe in. EM: Can you think of an artist / any artists that you feel deserve more attention? Kris Orlowski: Cataldo, Smokey Brights, Noah Gundersen, are a few bands out of Seattle that I’ve seen recently who deserve more attention. Touring the country and releasing three EPs to warm success in the past both seem to just be a stepping stones in what should be a lush career for Kris Orlowski. Preorder Believer now on their official site.